Looking to expand ‘Jigisha’s theatre world beyond ‘Aurangabad, to seek knowledge and experience, to face new challenges, conquer new horizons and to expand their activities to wider audiences most active theatre artists working with Jigisha migrated en masse to Mumbai during the period of 1987 to 1990. In the past 25 years of his stay in Mumbai, he has created a phenomenal record of directing more than 50 thought provoking & content oriented plays. 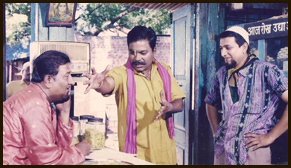 “Charchaughi”, “Doctor tumhisuddha”, “Dhyanimani”, “Gandhi Virudha Gandhi”, “Chaahul”, “Jyacha Tyacha Prashna”, “Rang Umaltya Manache”, “Vyakti Ani Valli”, "Gidhade", “Yelkot”, “Celebration”, "Hamidabai Chi Kothi" to name a few. These plays have mesmerized the audience and have left its mark on them for a lifetime. 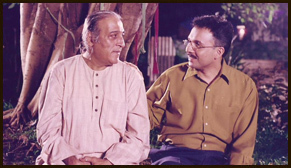 He is the only Indian theatre Director who has to his credit feat of directing an eight- hour "WADA CHIREBANDI" trilogy produced by "AVISHKAR" and written by another maverick Shri Mahesh Elkunchwar. This milestone trilogy includes back to back presentation of three plays, Vada Chirebandi, Magna Talyakathi and Yuganta . The artist and technical crew of the trilogy being rich in talent completed a record and what it engendered was an unforgettable experience par excellence. He works in both mainstream and parallel theatre with equal ease. He was the only Director who has engraved his name in the Natyadarpan Award by winning the Best Professional Director award for the play "Dhyanimani" and the Best Experimental Director award for the play "Yelkot" at a time in the year 1994. 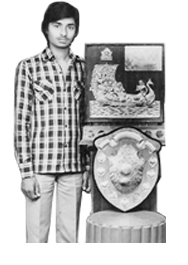 Recipient of the prestigious “Mahindra Nataraj Puraskar”, “Mahanagar Puraskar”, “Maitrey Puraskar”, "Marathwada Sahiyta Puraskar" and “Maharashtra Rajya Sanskrutik Puraskar” for his remarkable contribution to the theatre and Marathi cinema. He has directed three versions of the noteworthy play “Gandhi Virudha Gandhi” written by Ajit Dalvi. (Marathi, Hindi and Gujarati). 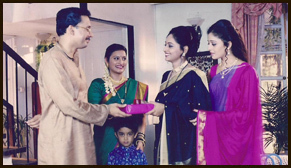 He has been the brand ambassador of “Sakal karandak” the famous one-act play competition organised by the Sakaal group for successive five years. He has to his credit major international events like "Mifta" Awards in London and the first event of the "Vishwa Natya Sammelan" confluence at New Jersey and many such events of various formats. 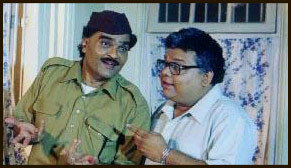 His two Television shows "Pimpalpan" based on Classic Marathi literature and political satire like "Tickal te Politikal" have been immensely popular. 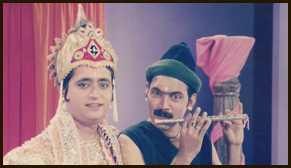 He has also enacted in a few selected films like “Bangarwadi” directed by another legend Amol Palekar and “Pipani”, directed by Gajendra Ahire. 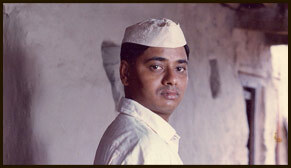 Born on 15th October 1963 into a farmer’s family in a small town in Marathwada (Maharashtra). His mother insisted that her children must be educated and hence they moved to Aurangabad, a city which had a culture of its own and had a potential for growth. 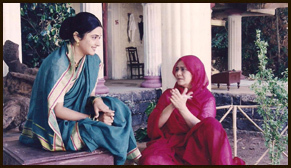 She didnot have enough money but had the mettle and zeal to stand by her ideals, huge zest because of which Chandrakant could complete his schooling quitesuccessfully in spite of the adverse economic conditions. He had a flare for language and won many awards and accolades in debates and elocutions. He took admission in the Govt. College, Aurangabad. Later, this move of his became more significant as it was here that the “Jigisha”, a group dedicated to theatre was formed . 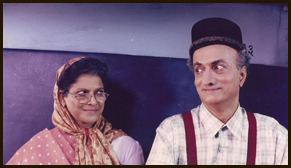 This group went on to make it’s unique place in theatre & Marathi cinema as well.